It’s hard to believe that Sam is five years old. It seems like just yesterday we were finding out we were pregnant for the very first time. 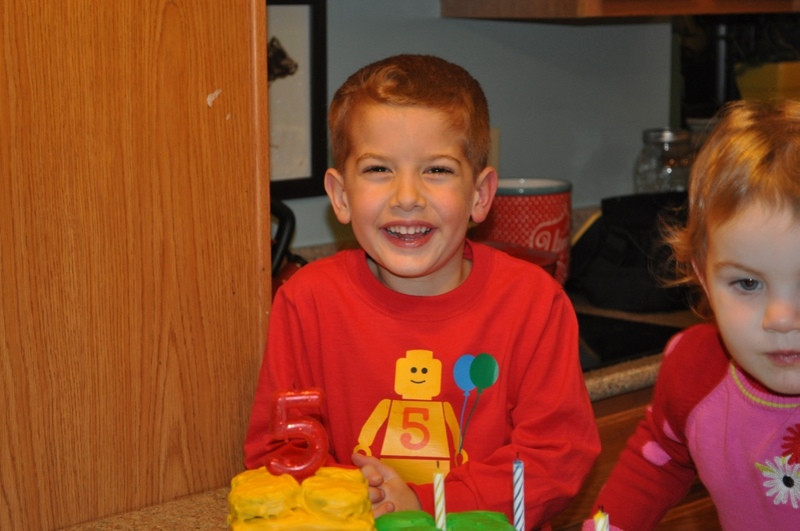 We had a LEGO Party to ring in a new year for him. After spending some time at my family’s house and discovering just how much he loved them, we thought it would be a great way to get a little help building his stash. I made a LEGO cake that took way longer than I expected it to, but I had so much fun making it. 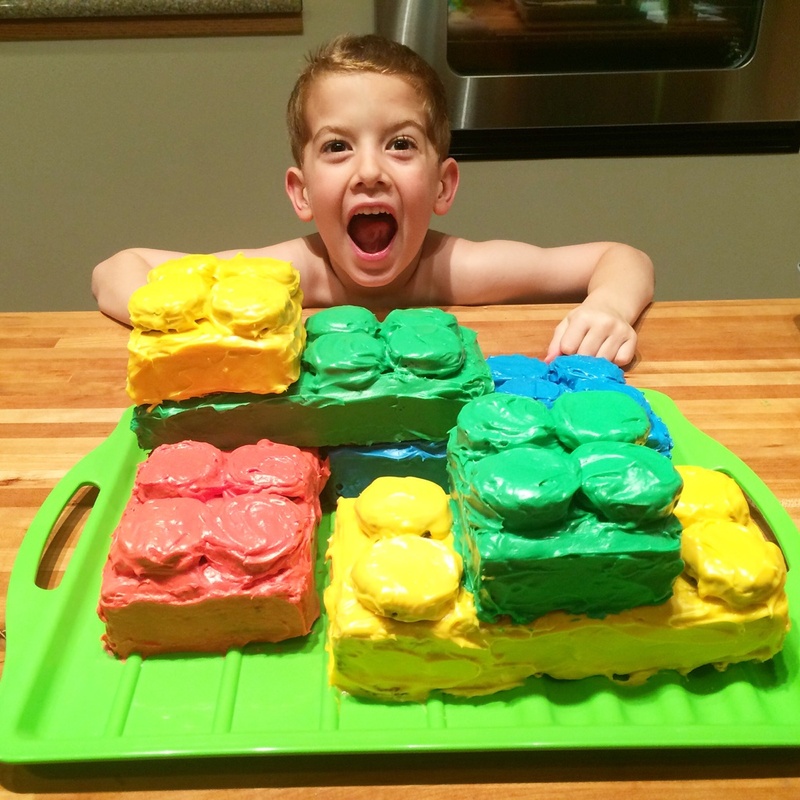 Sam helped me design it on a LEGO board first, and then I just made two sheet cakes, cut them into pieces and iced them. The buttons are simply iced Oreos. Simple dimple! I didn’t know so many people didn’t eat birthday cake. Even though we had over 30 people at the party, I could have stuck with just one sheet cake. Now I know! We started the party with coloring sheets I downloaded for free off the internet. 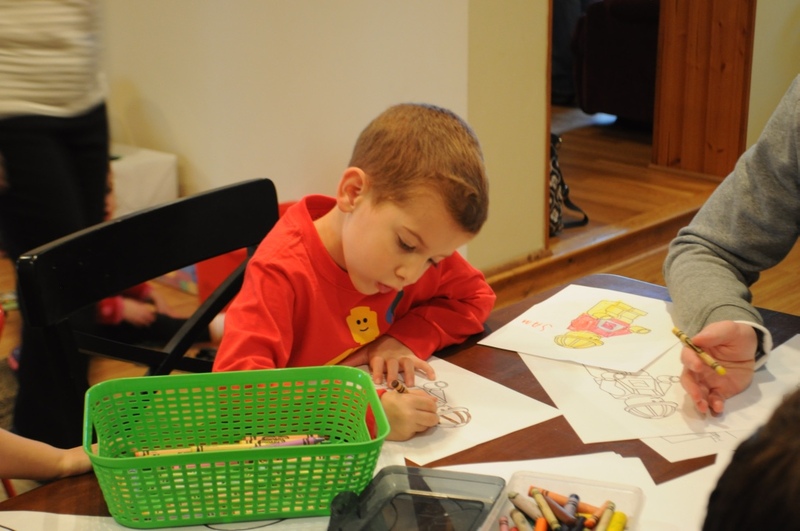 One of Sam’s all time favorite activities is coloring, so this was a no brainer. Grammy made an adorable banner that we hung over the mantle with some baby pictures of Sam. Baby pictures only because this was the last time I remembered to print pictures off … bad mom award. 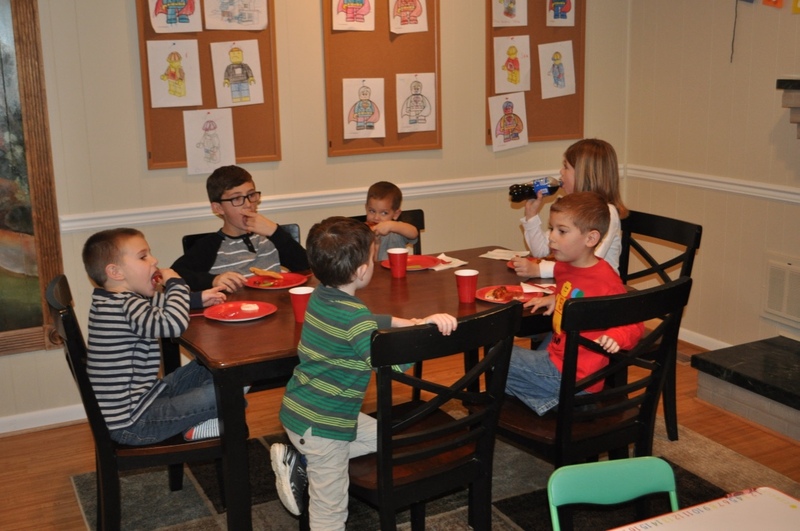 😉 We served pizza, veggies and fruit for everyone to eat! 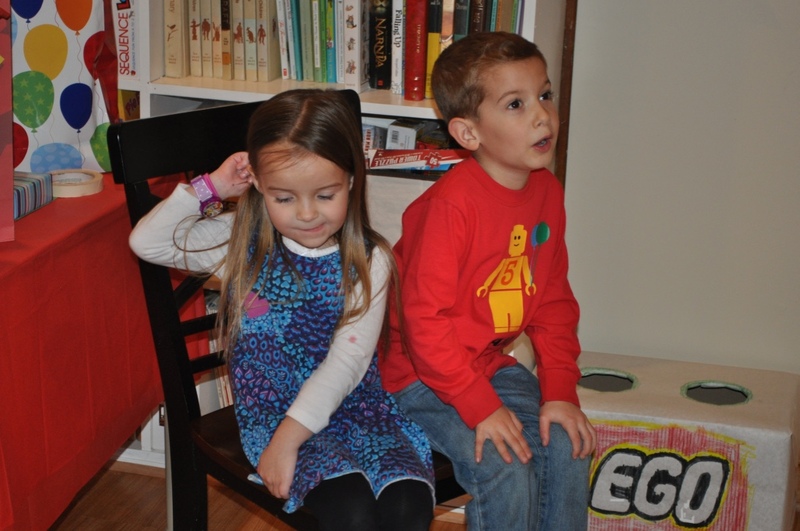 And afterward, we played a couple of games – pin the head on the LEGO man and a bean bag toss. My pictures were too blurry to post. 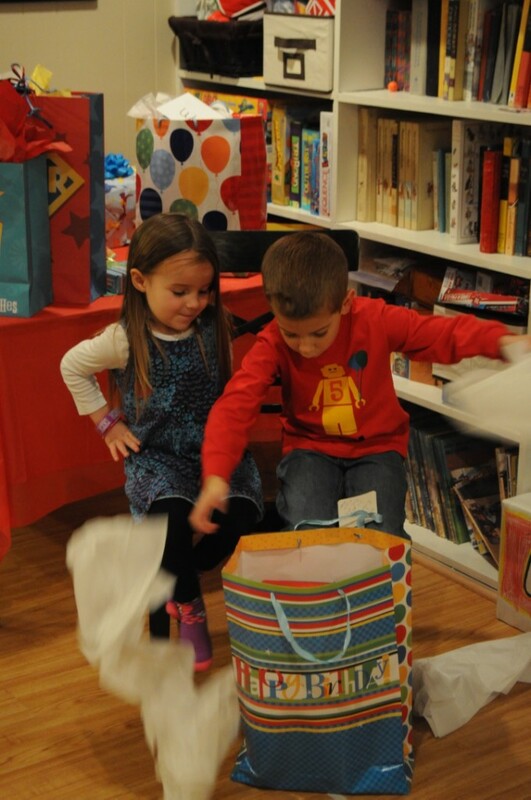 Katie is one of Sam’s sweet friends, and he wanted her to sit with him to open his presents. He’s had this planned for days. Love how sweet their friendship is. The birthday boy kicked back waiting for us to light his candles. Blurry but too cute not to post. One very, very, very happy little boy! On his actual birthday, we started the day off with celebration donuts. 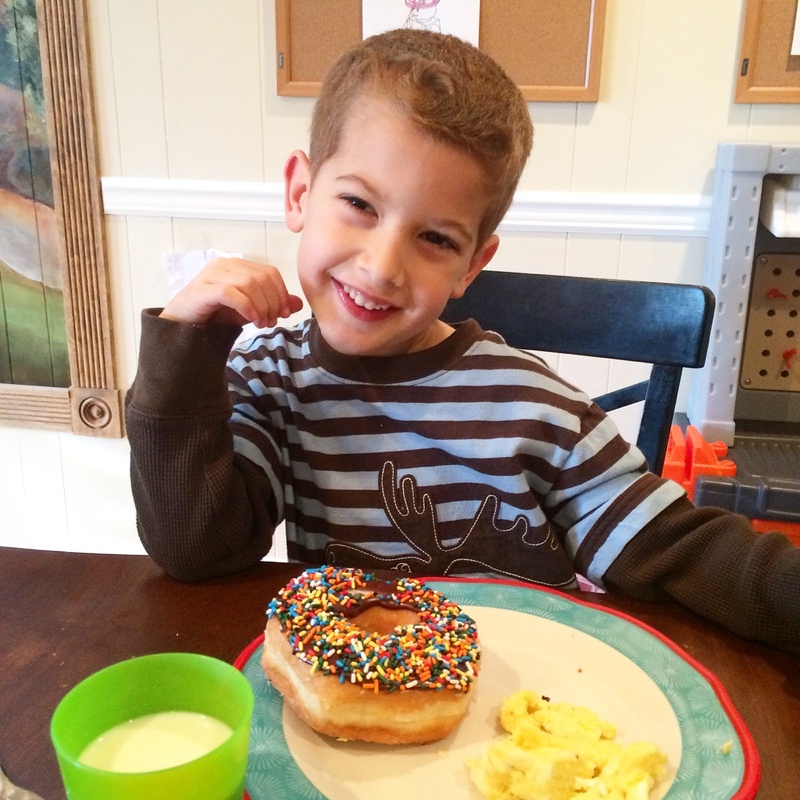 He chose a chocolate covered one with sprinkles, but in true form, he only ate the bottom of the donut. This picture makes me happy and sad all at the same time. 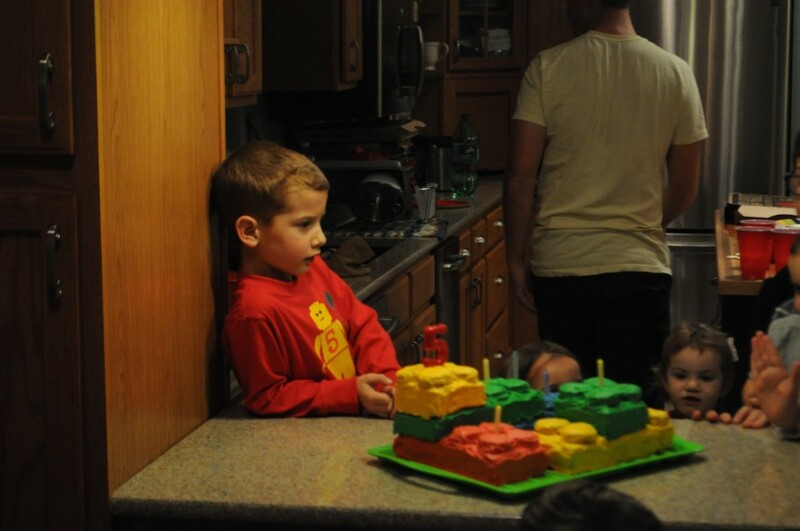 Happy because he is thrilled to be a five years old. Happy that I’ve known him for five whole years and there is still so much to learn about him. Happy because he’s mine. Yet sad because this is the first picture that I don’t see baby anymore. Sad because I can see the man he’s becoming emerging in the curve of his chin and the look in his eye. But mostly I’m just thankful. To Sam, the best oldest son I have. A teacher, a leader, our courageous one. We love you Buddy! 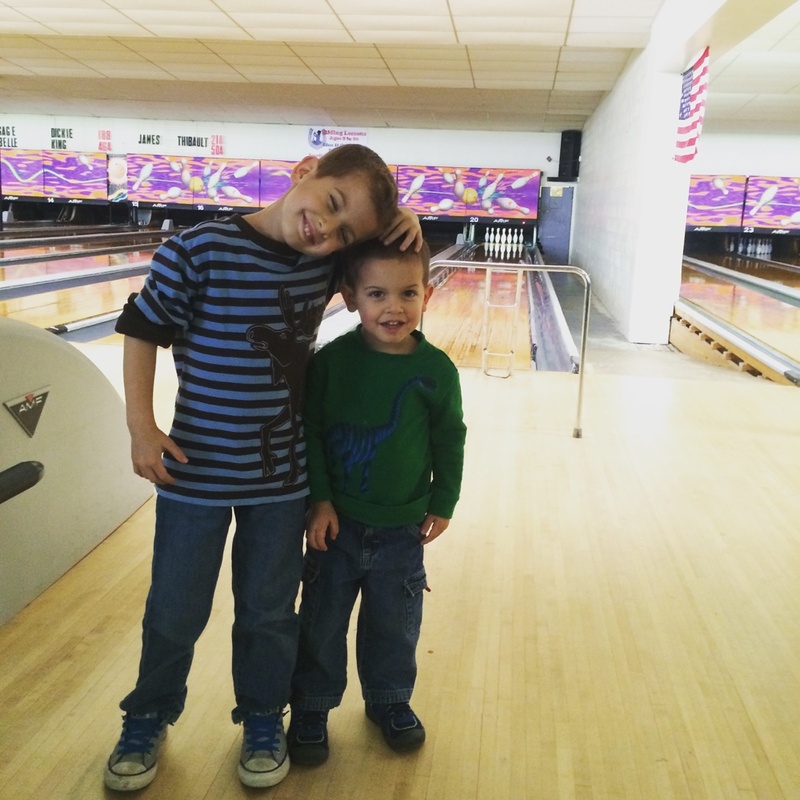 In the afternoon, we went bowling as a family, and these two really got into it. I love how very dear they are to one another. The best of friends. I’m also thankful that we’re all home together during the days so we had the flexibility to go during the day since there was going to be league bowling after dinner. When we got home, I conducted an interview with Sam. What was the best part of being four years old? My smartness went out. I can’t think of anything. Okay, okay … eating ice cream. It was a long time ago. 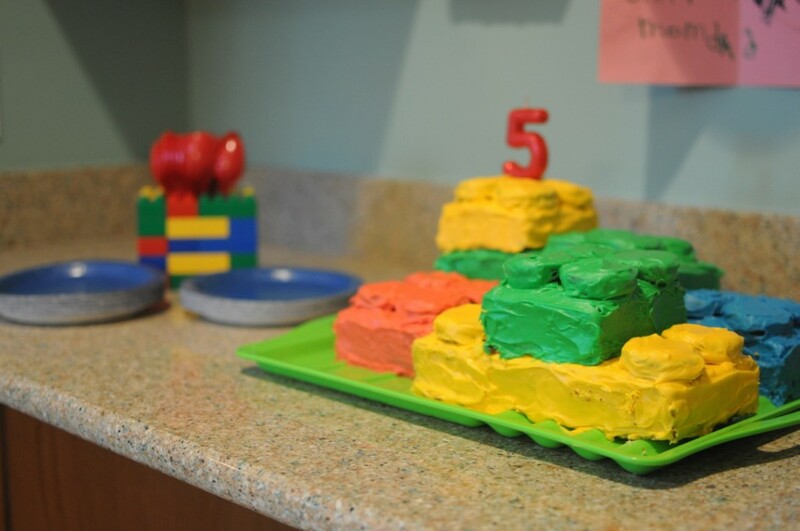 What do you think five years old will be like? Ohh, having my birthday tonight – I’m eating mac-n-cheese for my birthday. And ribs. What is your favorite thing to learn in school? I like my worksheets. Reading. Math. Science. And coloring. I think I want to choose 14. I’m going to have a lot of them! What is your favorite book to read? The Three Little Pigs. The one with the wolf. That’s what I’m going to read to my kids. Now, will you ask me about Woody Woodpecker? Timmy! And Jackson and Emmy. What is your favorite thing God made? No, not person. Verse like when we do the scripture memory box together. What is your favorite thing about Daddy? Playing baseball with him and going bowling with him. What is your favorite thing about Mommy? Reading books with you and sitting in your lap. What is your favorite thing about Timmy? What’s your favorite thing to play with Timmy? Um. Hmmm…let me think. While scratching his temple. Superheroes! Are you looking forward to having another brother? Probably. He could be my catcher and Timmy could be my thrower. And with that, this little boy is off to play the Wii and wait for his ribs and mac-n-cheese! 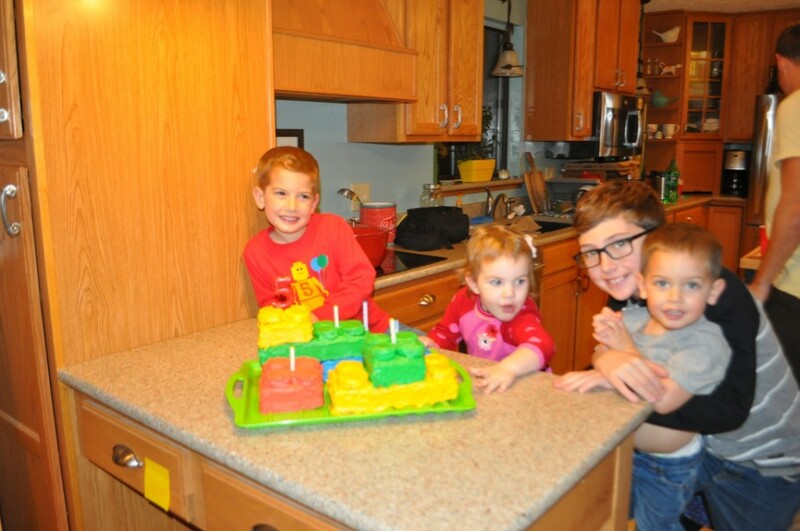 It was a fun-filled 5th birthday! I look forward to another year with this little dude. 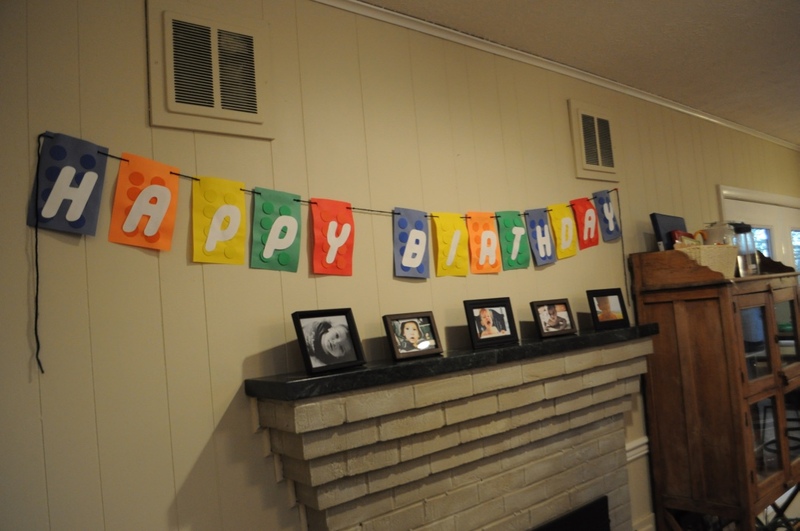 This entry was posted in Birthdays, Samuel by duttonla. Bookmark the permalink.